Ramadan is a time of spiritual reflection, increased devotion and worship and self-sacrifice through fasting and obtaining from certain behaviors. Muslims across the world will be fasting from sunrise to sunset for the next 30 days .Yes that does mean almost 23 hours of sunlight in some places! It is also the month in which their Holy Book, the Qur’an, was revealed to the Prophet Mohammed (Peace be upon him).It is also believed the gates of Heaven are open during this month so all good deeds and extra prayers are encouraged. 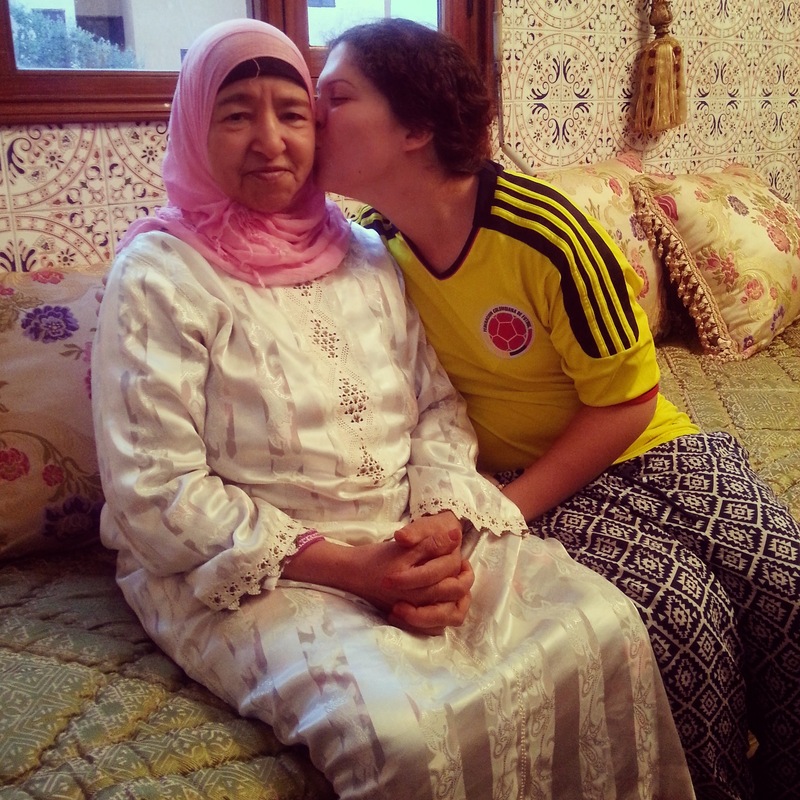 I was a Peace Corps volunteer stationed in Morocco and I wanted to participate in fasting and learning about the predominant faith of my host country. I wanted to connect to my community and Moroccans as a whole since I had never attempted to fast so strictly in my life beforehand. 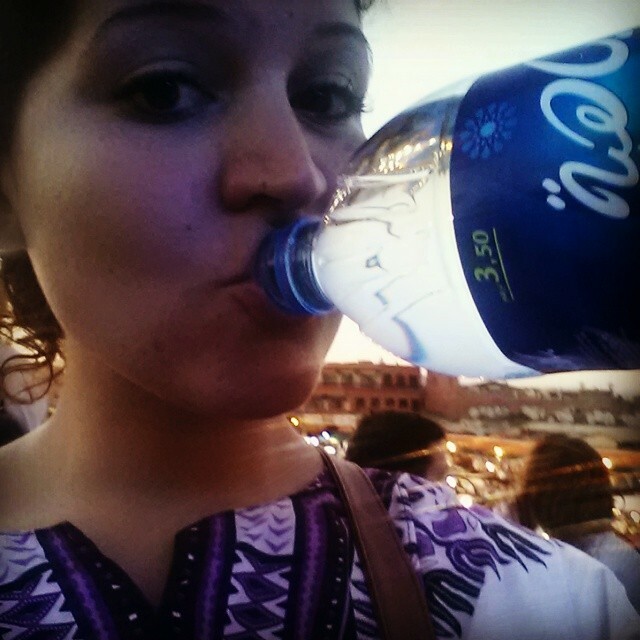 I also had the added motivation of not only watching and observing how Moroccans fast and how they break fast (Get it? Haha) but also some of my fellow volunteers and good friends were American Muslims and I got to learn and compare how they would fast and, of course, break their fast. To be brief, the biggest difference in the type of foods they eat during the allowed eating hours. In Morocco, the vibe and lifestyle of the whole country adapts to the slow, calm, reflective pace of Ramadan. So at night, the meals are often feasts with multiple courses and very grand displays of savory and sweets plates. Meanwhile, even though I have had Muslim friends, I had never noticed Ramadan in the U.S. America definitely doesn’t stop as a whole for a month and productivity is everything in our culture. Therefore, the average American Muslim, is preparing their meals to make the most sense to their work and responsibility demands. For example, as a college student or a full-time working person should prioritize meals that are not only filling but will leave you with more energy over time so your mental clarity and sharpness don’t dip as much. Meals with fiber and protein and pacing out how much water I drank were quite evident to me when I was breaking fast with my American Muslim friends. 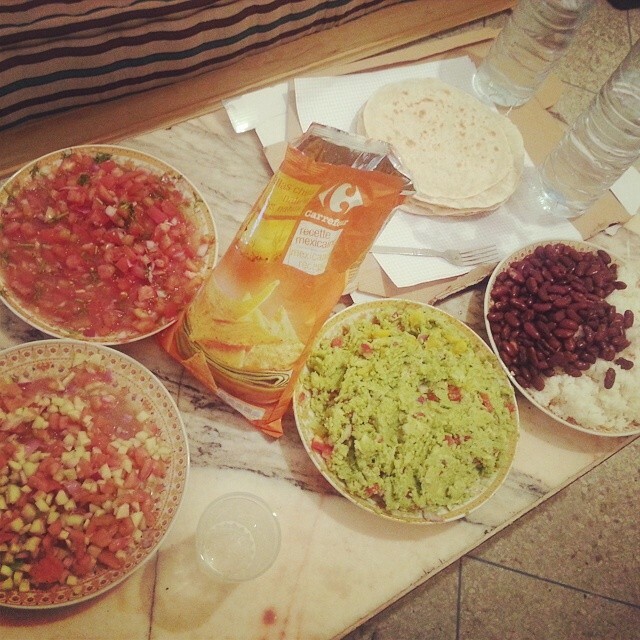 The picture below was a vegetarian Mexican inspired Iftar (meal that breaks your fast). In Morocco, Latin food is not readily available so this meal was a mission to create and heavenly to enjoy. 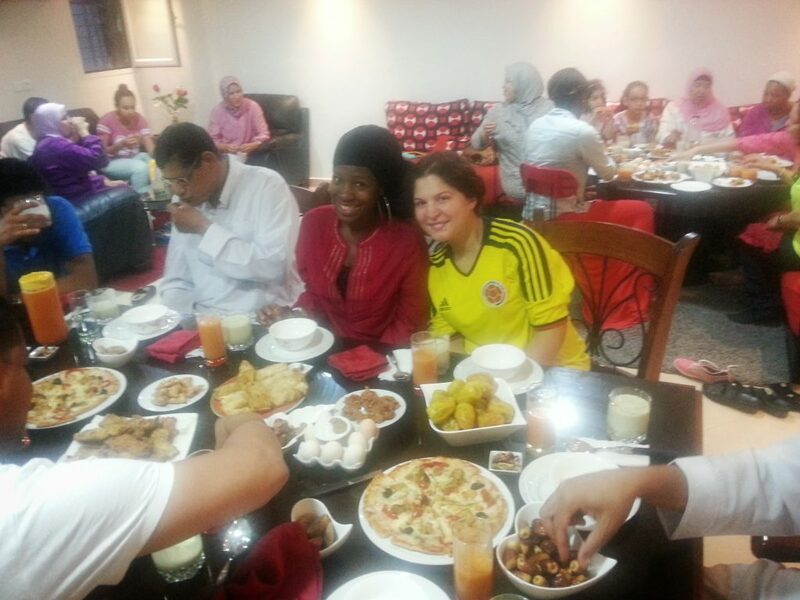 I have to say that as a Non-Muslim, I would have regretted the bonding and feeling of comradery and solidarity I shared with all the Moroccans I met during Ramadan if I had chosen not to fast. My Moroccan friends would teach me the ritual of cleansing your body for prayer which involves washing your hands, mouth, nostrils, arms, head, and feet with water and encourage me to learn their faith and how to pray but as I’m still unfamiliar with a lot that I should feel welcome to say my own prayer from my childhood faith or to simply talk to my Divine Higher Power while performing salat, Muslim prayer, alongside them. That was so welcoming and inviting me, I sometimes get emotional just remembering how powerful and deep the human desire to share and express spiritual/religious belief can be. Morocco and Ramadan have left a deep-rooted mark on my heart and how I experience other cultures, religions, and how I travel. While Ramadan might not be something for every traveler to commit to or want to experience, I would definitely encourage you to give it a try. It could be in solidarity with your Muslim co-worker so they don’t feel so alone while everyone is having lunch in the office. It could be to bond with the staff in the local Riad, traditional Moroccan home/hotel architecture. They would be completely impressed that a Non-Muslim would want to experience Ramadan with them and may even invite you to their home to break fast with them! 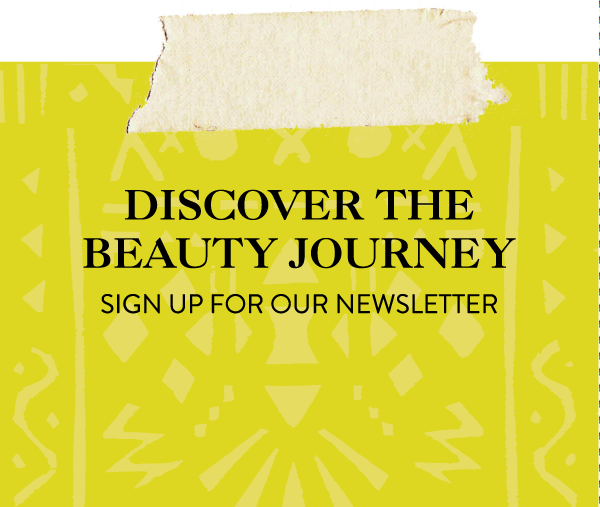 Also, check out this beauty Saharan Beauty Inspired Makeup look by Around the World Beauty Founder, Stephanie Flor!